BFB was delighted to hear that the owners of one of our best rated UK cottages, Fallow Deer, have added 'Hyde Paddock' to their portfolio (from Winter 2014). The Humberts consistently enjoy fantastic feedback for their special blend of friendly hospitality and attention to detail in family-friendly touches. The owners have included a whole range of thoughtful extras including a pre-arrival shopping service, babysitting and a visiting beautician who can pop into the cottage for a spruce up on request. 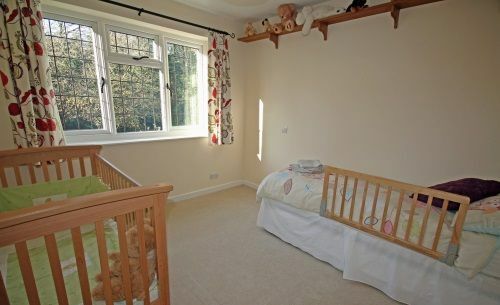 The same comprehensive list of nursery gear and toys is provided (see Fast Facts for details) plus the added bonus of a private hot tub, so parents can wind down with a soak under the stars, after little ones are tucked up in bed. Hyde Paddock is just under a mile from Fallow Deer, which not only means that guests can enjoy a one-day visit with the four-legged friends at the animal petting zone there, but also makes it an ideal option for two families, or a couple and grandparents to enjoy a holiday together but with plenty of opportunity for private space and time too. 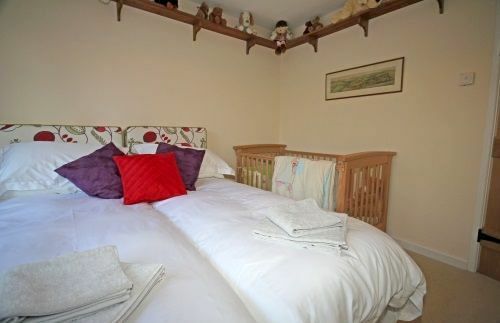 The property is set on one level, perfect for families with two bedrooms; a stunning mahogany sleigh bed (king-sized) double room and twin bed room which can be zip-linked together to form a further king size double. 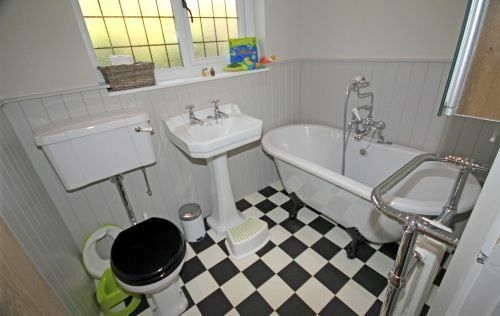 There's a family bathroom with a romantic clawfoot bath, plus separate shower room, both finished with plentiful fluffy towels and luxury toiletries. The open plan living area has lounge complete with comfy sofas, a large flat screen TV, DVD player, music system, free WiFi. There's a farmhouse dining table, a breakfast bar and beautiful handmade wooden kitchen complete with modern Rayburn and dishwasher. Outside, there is a large garden with hot tub. Read this great review of Hyde Paddock by top influencer The London Mum. 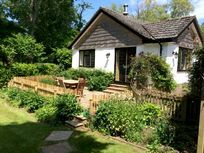 Despite its peaceful location, in the heart of the New Forest National Park, the cottage is walking distance from the local village with traditional country pubs and handy shop with adjoining cafe and just 20 minutes from the coast. There are plenty of picnic spots, wildlife trails and walks on the doorstep so guests need not stray far but those looking to venture slightly further afield have plenty of options. Keen shoppers will enjoy exploring the pretty boutiques in the Cathedral city of Salisbury just a short drive away or head for an old fashioned day at the beach with a range of coastal towns within driving distance from Bournemouth to Sandbanks or Mudeford Quay. For mini guests in need of a treat there are some great options within a short drive including Longdown Farm with its range of friendly farmyard animals, indoor ball pool and BIRO wooden play equipment zone or Paultons Park which has a big range of toddler rides and is home to Peppa Pig World . We are David and Joce and we've lived here for 34 glorious years! We share our New Forest home with our bonkers but super friendly Italian dogs, Wiggle and Bounce as well as our own 5 New Forest ponies. We look forward to welcoming you to Fallow Deer Cottage, our very special New Forest Bolthole. We've both lived in The New Forest all our lives and we're steeped in the wonderful traditions of the area. Only 2 hours drive from London, the New Forest is an amazing change of scene, instantly fascinating and enjoyable for all the family. As soon as you cross over the cattle grids into the New Forest National Park you enter an entirely different world. The ponies graze freely on the side of the road and the open moorland and wooded forest open your imagination into a different way of life. The New Forest has a wonderful coastline, from Southampton Water in the East, the Beaulieu River & historic Bucklers Hard to Lymington and then Christchurch in the West. Only 50 yards from our own house, Fallow Deer Cottage was our home for 18 months and we absolutely loved living there. 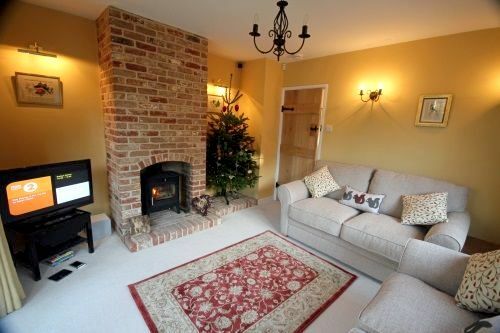 Warm and welcoming, the cottage has been enormously popular with our guests. The private garden gives a wonderful sense of space and ponies graze in the paddock just the other side of the fence. Our whole stableyard gives yet more space and children love to ride bicycles on the smooth pathways. Its animal magic at Fallow Deer Cottage! Our 'pets corner' was a new addition in 2013 and has been an enormous hit! There are 6 rabbits Jasper Carrot, Itchy, Scratchy, Rag, Tag and Bobtail and Harvey the guinea pig. About 20 bantams (including Annabel who loves being stroked) and last but not least pygmy goats Phil and Ted live in their own part of the barn, knee deep in golden straw. The pets corner is all under cover and provides a fun half-hour activity at the beginning or end of the day, at all times of the year. Out in the paddocks are also Little Gill our miniature Shetland and Misty our wonderful Welsh pony. In the secure cottage garden is a huge sandpit (with lots of toys!) a swing and slide set, there is plenty of room for little ones to run and play and for grown ups to relax under the parasol or fire up the BBQ. Owls hoot and cockerels crow and the deer lie under the chestnut trees just the other side of the cottage fence. There's a child-friendly pub just a 200 yards stroll up the road and a quirky tea-rooms and village shop just 10 minutes walk away over a buggy-friendly New Forest common. Even a week isn't long enough! Walking distance to the local village with a small shop and adjoining cafe along with a couple of good pubs. Baby gear provided includes: baby bath, baby bouncer, baby monitor, steriliser, potty, stairgates, bed guards, socket covers, plastic crockery, plastic cutlery & sippy cups. Indoor toys provided include: bath toys, kids books, general toys, U-rated kids DVDs. Pre arrival shopping is available. Outdoor toys provided include bucket & spades, trikes, paddling pool, sand pit. A visiting beautiy therapist can be arranged on request. Large Fenced garden and terrace area with table and chairs. The owners live nearby and welcome guests once a week for a meet and greet with their gaggle of animal friends including a shetland pony, pigmy goats, rabbits and chickens. Great child friendly cottage for our 4 and 2 year old, they loved exploring the garden and it's three sections, perfect for hide and seek! Fantastic location with lots to see and do in the area. Lovely hosts, from the welcome proseco and brownies to letting us round off our holiday with a pony ride and petting the animals at their own home, we couldn't have asked for more! Highly recommend. Hyde Paddock is such a lovely cottage, it was perfect for our family holiday in the New Forest. The owners could not have been more friendly and we will definitely visit again. Our boys loved it there and so did we! Great property, charming hosts, lovely peaceful location. This was our second visit and I'm certain we will be back. Fantastic cottage. Amazing selection of toys and activities for our 8 month old - she loved the swings and the hot tub! Could not ask for more, everything had been thought of. 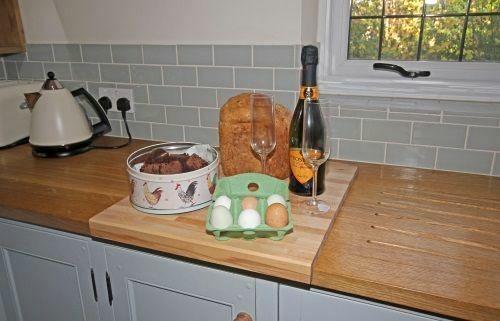 The fresh eggs, loaf and brownie were incredible and don't forget the bubbles! Hosts so friendly and brilliant with so many ideas of things to do. Thanks for a wonderful stay! A fabulous stay at Hyde Paddock, great knowledgable hosts who helped us to settle in quickly and were on hand to offer recommendations which was very kind. A lovely home which had everything we needed to relax, even with a toddler in tow! Will definitely return, a great find, don't hesitate to book. We have just returned from our 3rd visit to Hyde Paddock and hope to have many more. The cottage is set up so well for families with everything you need from bathroom steps, toys, night lights, bed guards and kids cutlery. It's great coming on holiday without a car full of plastic. Adults will enjoy the stay just as much with amazing welcome treats. We love the blue eggs! We enjoyed a great day to the Heavy Horse Farm and Easter activities in Lyndhurst. The children love the garden and we all enjoy the hot tub. Thank you to Jose and David for another wonderful stay, topped off with a pony ride on the lovely Mouse. See you again! Becca, Tom, Orla & Joe. Had a wonderful stay at the end of January. Such a warm welcome from our hosts was truly appreciated. Fantastic cottage, would definitely recommend and hope to be back! We had a great stay at Hyde Paddock: lovely cottage, beautiful area, and the most thoughtful owners. We loved it, and our 3 yr old did too: we would definitely return! Great spot for a summer or a winter break! Have been twice and we are looking forward to our third visit! We had a wonderful 2nd Easter break at Hyde Paddock. The weather this time was super so we spent a lot of time in the garden but also enjoyed little trips out to Hengistbury, Moors Valley and Lymington. The cottage is perfect and we hope to return for a 3rd visit. Thank you! Becca, Tom & children. A lovely cottage with very welcoming and helpful owners. I'm sure we will return. We had a fantastic 4 day stay here-the cottage couldn't have been more cosy and comfortable, and we received an extremely warm welcome from David and Joce, including some delicious homemade goodies. Our children loved playing in the garden, and there is so much to do in the surrounding area. We only wished our visit could have been longer and we will definitely be back! Thank you so much to David and Joce for such a wonderful time staying at Hyde Paddock. Everything we could have wished for was catered for by these wonderful hosts and so many unexpected bonuses thrown in too. We particularly enjoyed going to visit the animals at David and Joce's farm but of course the highlight was sipping prosecco in the hot tub under the stars. Thank you so much and we can't wait to come back. Lovely cottage - wished we could have spent longer. Exceptionally friendly welcome too! Great location, we have two boys 8-5 who have enjoyed going for walks and counting the ponies,donkeys and cows. Lovely warm welcome when we arrived. This is are second visit and we are already talking about coming again. Great location, perfect for walks with baby in the buggy or baby carrier. Felt totally relaxed and comfortable in the cottage, our three month old even slept in his own room for the first time! Joce & David couldn't do enough to help, great hosts and we will definitely be going back. Hyde Paddock is a cosy home from home. We have stayed at Fallow Deer Cottage twice and Hyde Paddock is just as comforting and homely. It is very private and the rooms are beautiful, light and warm. The beds are so comfy and the kitchen is gorgeous. We stayed for the weekend and our girls, aged 10 and 5 loved it. We love seeing David and Joce, they have thought of every last detail and it is such a special treat to share a bit of New Forest life. 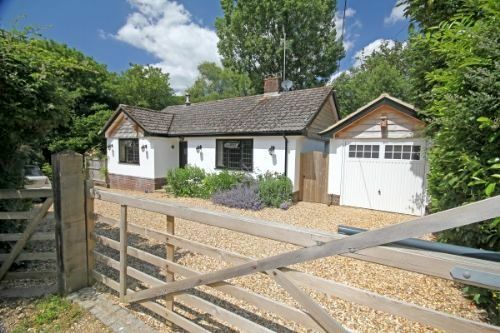 A great cottage, perfect for a young family. We really enjoyed our stay. The house is really cosy and the hosts were incredibly welcoming. Everything you could need is here! Great location for exploring the New Forest. A fabulous find! This cottage had everything we needed for a great week away with our 3 year old and 5 month old. The location was beautiful and peaceful, but with easy access to so many attractions and sights. The hosts were so very welcoming and helpful with advice on where to go. The home made brownies and hot tub were thoroughly enjoyed. We're looking to rebook for next year already. Hyde Paddock was a fabulous home from home for our first family holiday with two year old son and seven week old daughter. Our son loved the toys and didn't want to leave. The New Forest is great for toddlers. We loved Mudeford Sandspit boat and beach (as recommended by David and Joce) and on a less sunny day a trip to Beaulieu, with the motor museum, beautiful house, grounds and playground, was ideal. And Peppa Pig World at Paulton's Park is paradise for a two year old. Couldn't recommend Hyde Paddock enough. It's a beautiful, idyllic little cottage. The children loved exploring the garden and playing on the swings and sandpit outside. The interior is both cosy and luxurious. 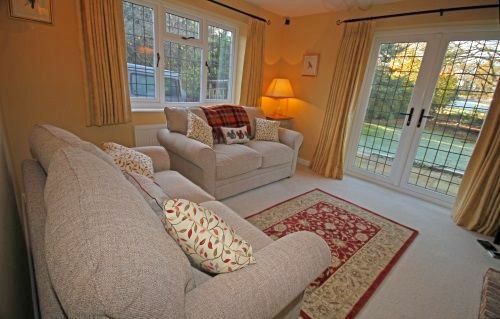 Cottage is well-located in terms of family day trips to Mudeford beach and Moors Valley Country Park. Owners are very friendly and even let the children feed their horses and goats, hold their chickens and go for a ride on their Shetland Pony. A perfect holiday! Second time we have stayed at Hyde Paddock and of course, there is a very good reason for this - it is simply delightful! Our two young children love playing with the toys and the family spent a few splendid days out at the local farms and going on walks. Just heaven. Excellent. Great hosts and beautiful location. We had a lively short break at Hyde Paddock. Perfectly located for the local sights, it has everything you could ask for. We hope we can return soon! We had a wonderful week at Hyde Paddock, a very private, comfortable and homely property. Fully equipped for us with twin babies! Lovely welcome gift from the equally lovely owners! Lots to see and do in the surrounding area. Best cottage we have stayed in and we have stayed in quite a few. Lovely cottage, lovely location, lovely owners. Plenty for kiddies and little treats for adults like a hot tub! Truly brilliant property. 2 adults and a 2 1/2 year old. 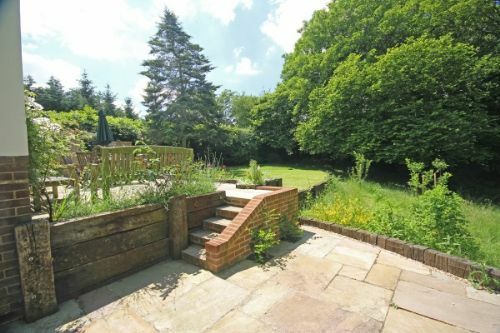 Sizeable garden, swing / slide / sandpit in back garden, good size rooms (all). Kept our little monkey entertained with hide and seek. Excellent location for all the local amenities (shop, cafe and pub :-) ) words cannot express how good this property is. Definitely looking at 2016 already. We absolutely loved our stay at Hyde Paddock - a fabulous cottage in a great location. The house was very comfortable and spacious and felt like a real home from home. It was kitted out with everything we could need plus more, with many thoughtful added extras. David and Joce are wonderful - they were the most welcoming of hosts and gave us some great tips on things to do in the area and places to eat. Highly recommend Hyde Paddock and we will definitely be booking again. I wanted to move in, thought it was fabulous. 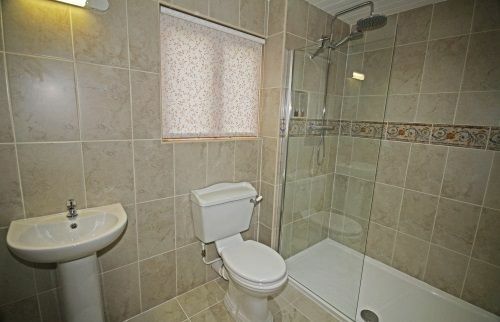 The owners really had thought of everything down to the smallest detail. Will be returning and I wouldn't normally go to the same place again. The property is beautiful and is set in gorgeous surroundings. It was fully equipped with all the baby equipment you need to make your stay as stress free as possible. Fantastic stay at Hyde Paddock - great location, well finished and everything was well thought of .... a real home from home. Thank you so much we had a fun filled and relaxing break. Cant wait to return. An absolutely fantastic family friendly cottage - we stayed with our three children aged 5, 3 and 7 months and the house and garden layout were brilliant and safe with plenty of toys and play equipment to keep everyone busy. We all very much enjoyed splashing in the hot tub! A cosy little getaway in idyllic surroundings and fantastic hosts who made the whole experience much more special. Communication was excellent and problems resolved in a reasonable time period, perfect for us and our twins under a year old. This is a superb holiday cottage. The equipment is all top notch, which isn't always the case with holiday cottages, with a very well equipped kitchen and an even better equipped garden - the kids loved the swings and slide and we loved the hot tub. The owners were incredibly friendly and welcoming, without being intrusive, and the kids enjoyed a pony ride at their home when we dropped the keys off on the last day. Thoroughly recommended. Just back from a brilliant week at Hyde Paddock. 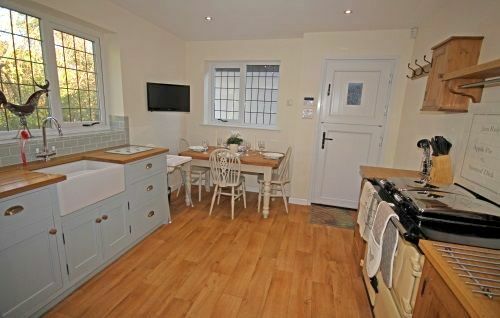 The cottage is beautiful - compact but plenty of space for a family of four (nearly-three year old and a 7 week old). My daughter loved the toys and her 'big girl bed' and my husband loved the hot tubs and pub recommendations. I loved not having to pack everything and the kitchen sink as it was all provided. Wonderful, stress-free break in a beautiful area. We had a wonderful short break at Hyde Paddock. The owners were incredibly helpful from the moment we made our booking. The house is on one level which is great for families and it really is a home from home - plastic plates, stick blender, toys, bath toys, etc. Their recommendations as to what to do in the local area were spot on for our pre schooler and baby - from a visit to the beach with small boat trip to an amusement park. We would highly recommend the property. Had a wonderful time at the cottage with our 7 week old and our nearly 3 year old. She loved the toys and swing set, my husband loved the hot tub and local pubs and I loved the comfy bed, snug living room, well equipped kitchen and not having to pack everything but the kitchen sink! Every thing that you would need is supplied in a lovely setting making for a stress-free family break. Fantastic stay at Hyde Paddock. David and Joce couldn't have been more helpful! It was our first stay in the New Forest with a toddler and baby, and Hyde Paddock was the perfect place to spend it - we haven't been on a holiday that's better geared up for small people than this!! There's so much to do in the surrounding areas too, we can't wait to come back! Absolutely brilliant choice - we can't recommend it more highly! Hyde Paddock is located in a beautiful part of the New Forest, with wild ponies, donkeys & cows roaming the streets which adds to the fun (they can't get into the fenced property though). The owners live a mile away and are incredibly helpful as you start to plan your stay, and will even receive your grocery delivery prior to your arrival so you can settle in even quicker. They're also incredibly welcoming, and will invite guests to come see their own animals, giving the kids a chance to pet bunnies, hold chickens, and even go on pony rides! A real bonus!! 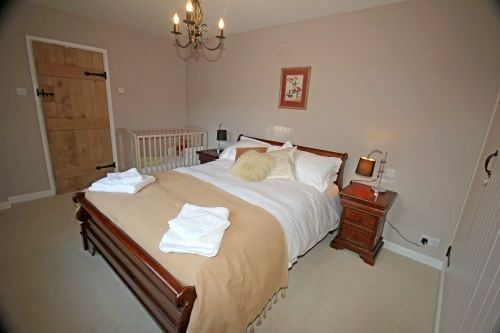 This was our second booking with Baby Friendly Boltholes, but first time in the New Forest. Everything you need is there -- including high chair, bottle steriliser, cots, bed rails, changing mat, toilet training seat/potty, a big box of toys, and a fantastic swing set & sand pit in the back garden. There's even a hot tub for parents to unwind. All in all, it's a wonderful spot for a baby/toddler friendly holiday! There is a reason these guys are no 1 rated - Hyde Paddock was EXACTLY what we needed and is an outstanding property with everything a family could need. The owners have really thought of every last detail and we felt like it was a home from home from the minute we arrived! Will DEFFO be going back. Thankyou so much Hyde Paddock! We have been to many cottages around the UK, but this one really does tick all of the boxes. It has a luxurious interior equipped with a very comfortable bed, sonos sound system, wifi, log fire, rayburn and all of the necessary equipment for your children. 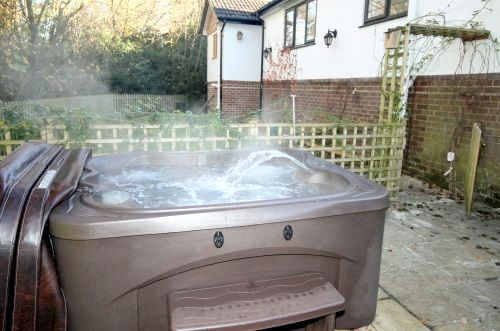 It also has the added bonuses of a hot tub in the garden and New Forest walks from the front gate. A perfect country escape. We were quite honestly blown away by the wonderful mini break we had at Hyde Paddock courtesy of the incredibly friendly and gracious owners, Josse and David who welcomed us with prosecco, fresh bread and brownies. We were lucky enough to be the second people to stay in the cottage and it felt like moving into a new fully furnished, exquisitely decorated country home from the roll top bath to the Rayburn aga in the kitchen to the new incredibly comfortable sofas and the beautiful sleigh bed in the main bedroom. There is a sonos sound system that plays music throughout the house and a beautiful wood burning fire. There was really nothing we could fault and want to return as soon as possible! if your children love animals, this is the prefect location with horses and donkeys roaming free and Josse and David's wonderful mini farm with chickens, rabbits, goats and ponies that the children can ride. A perfect family holiday in the New Forest! We enjoyed a great stay at Hyde Paddock - much love has gone into decorating the property and ensuring all of the details have been taken care of for guests. Joce and David couldn't be more welcoming and helpful. In a very beautiful area with lots close by. Cottage great for babies and toddlers as everything on one level so no need to worry about stairs. As soon as we arrived I knew I wanted to book to come again! This is a beautiful location. Going on holiday with a seven week old baby and a two and a half year old was made so easy and enjoyable for us. We really only needed to take with us some clothes! as everything is provided. The hosts are the most kind and genuinely lovely people you could ever meet. Giving our daughter the best Easter Sunday - riding on the pony, feeding and petting all the other animals, and an Easter egg! The fresh homemade bread,chocolate brownies, eggs and bottle of fizz made us feel very spoilt. The garden and whole space is so very relaxing. Thank you for such a lovely time. I really hope that we can come again. Had a fantastic stay, children absolutely loved all the animals and the pony rides -thank you very much! The Cottage is in an idyllic setting and with so many things to keep children entertained both on site and in the surrounding area. The owners of the Farm are so welcoming and made our experience first class. We can't wait to return! The Humberts are amazing hosts, we were all sad to leave. Would wholeheartedly recommend to anyone. The advert repeatedly refers to Fallow Deer as 'perfect'. I'm afraid that is not true. It's actually far better than that! Our week there (21month old, 7 week old, parents and grandparents) was a wonderful experience, made even better by the friendliness and hospitality of the hosts. Cannot recommend this highly enough. We all had a wonderful time at Fallow Deer and Joce and David were perfect and extremely generous hosts. We would recommend their place to anyone with a young child as their array of toys, animals and space was brilliant! We had a lovely time at Fallow Deer - the owners were really friendly and helpful, and very welcoming to our 15 month old, even giving her pony rides (which she loved!). The cottage was very nice, spotlessly clean and had a good range of toys for little ones. It is in a good location to access all the attractions of the New Forest and the Dorset Beaches. There were some lovely touches such as a freshly baked loaf, delicious home made brownies, jam and fresh eggs when we arrived and even a small present for our little girl. 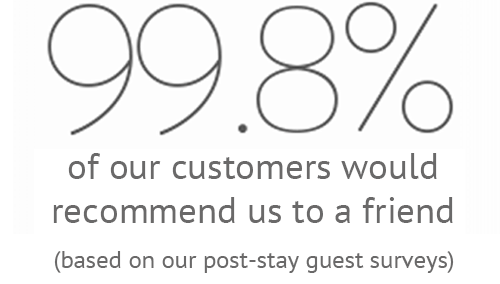 We would definitely stay again. Such a lovely place to stay. Our 2 year old loved the chickens, shetland pony rides and deer/horses in the garden as well as the garden and sandpit. The owners are extremely welcoming and nothing is too much trouble and they are on stand by to give helpful advice about the area and things to do without being intrusive, thank you for the lovely home made bread, eggs and lemon drizzle cake!! The owners were lovely and so helpful, we were greeted with freshly made bread and home made brownies! Our son was given a ride on one of their ponies which was a highlight of our trip! They really thought of everything to make our stay as relaxing and as stress free as possible. Being able to arrange for a supermarket delivery before our arrival was so helpful, and the owners provided everything we needed for our one year old. Nothing was too much trouble. A real home away from home. Fallow Deer was everything we hoped for for our weekend getaway. The cottage was extremely comfortable and homely, with an array of toys (from indoor toys, bath toys to sandpit toys) for our little one. The animals were charming (our daughter loved them all, from the horses and the dogs to the deers and the rabbits that we spotted from time to time). The grounds were stunning and so peaceful (we all slept very well!). The owners, Joce and David were the perfect hosts and were so warm and welcoming. The food we ordered was delicious and the brownies, bread and champagne that greeted us on arrival an added bonus. The location was easily accessible from London as well as perfectly situated for visiting the seaside. All in all we had a most restful and enjoyable weekend and will most certainly be back!